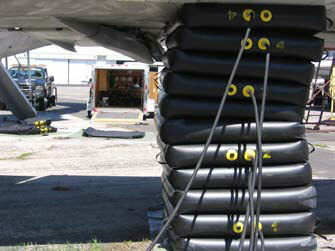 These lifting bags are designed for recovering smaller aircraft, including business jets. 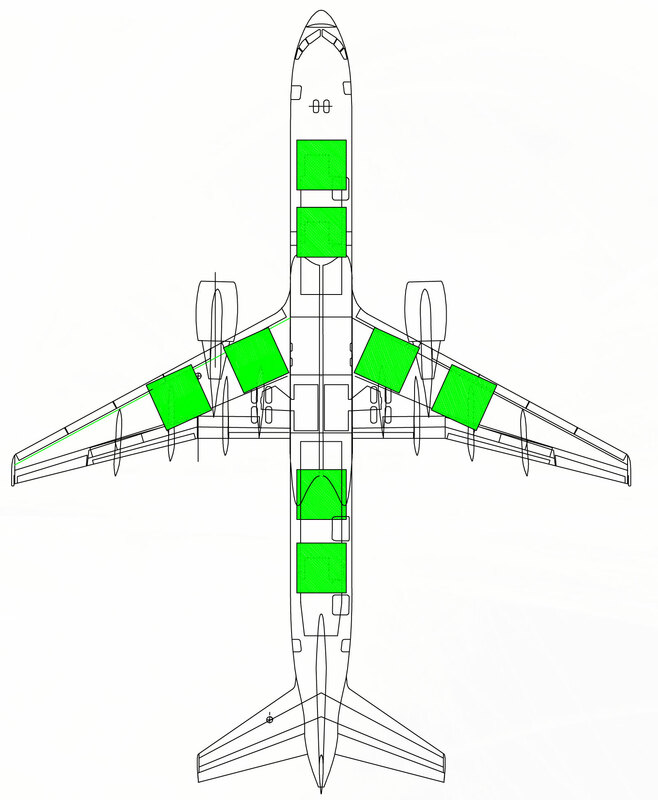 The number of lifting bag sets and the type of bags will depend on the aircraft to be recovered as well as the nature of the incident. They can be used as stand alone recovery systems or in combination with conventional recovery methods. 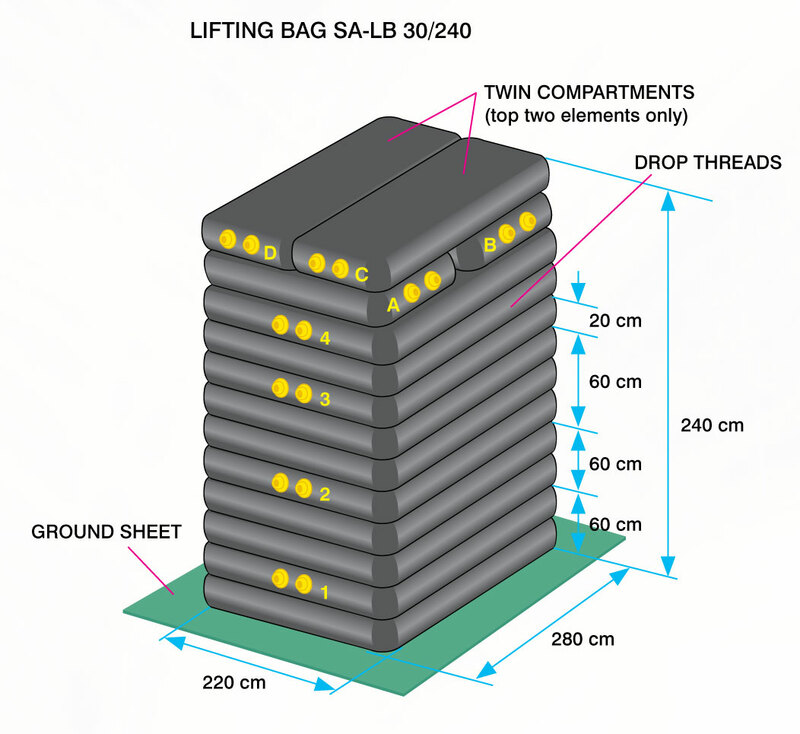 The lifting bag SA-LB 5/120 consists of one triple- chamber bag and three single chamber bags. 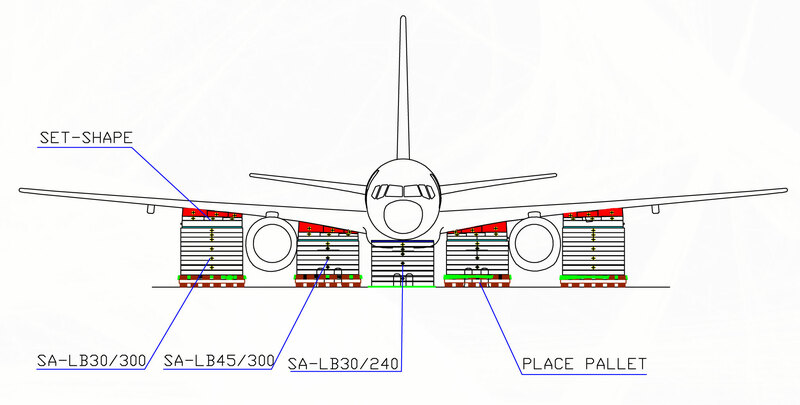 The SA-LB 8/240 consists of three triple-chamber bags and three single-chamber bags. They are packed in special storage bags that also serve as ground protective covers. 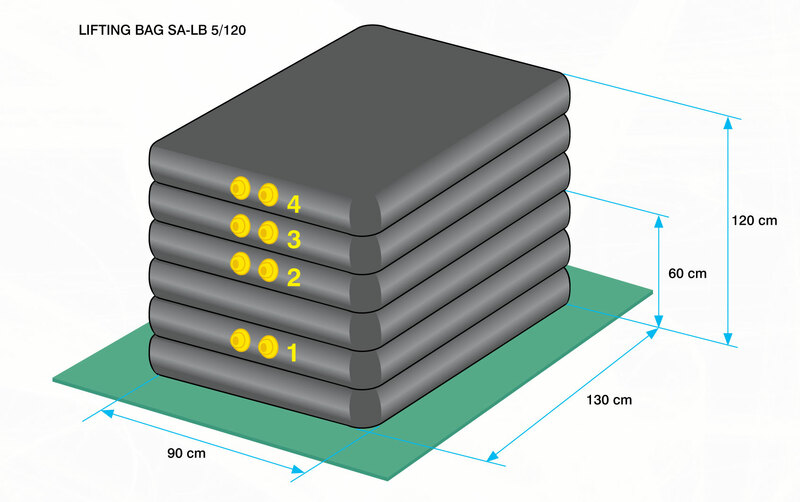 The SA-LB 5/120 requires a 4-port deadman controller for inflation and the SA-LB 8/240 requires a 6-port deadman controller. Life expectancy from 15 to 20 years. Calibrated inflation controllers with deadman. The unique feature of Our lifting bags is the combination of triple-chamber and single-chamber bags. There are 5 standard models capable of lifting up to 300 cm high. A two layer rubber-coated fabric connected with thousands of mono-filament fibers assures excellent stability of the lift bags in all directions. 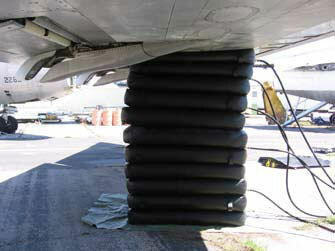 This results in greater safety even with the largest size bags which are capable of lifting upwards of 46 metric tons. Life expectancy of 15 to 20 years. Listed under each category is also additional equipment recommended for the successful completion of the recovery process. 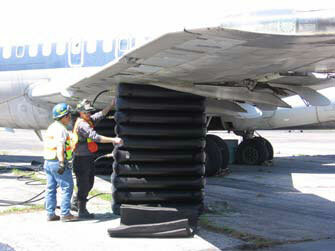 To facilitate aircraft recovery, we have added contour matching equipment to the lifting bag sets. 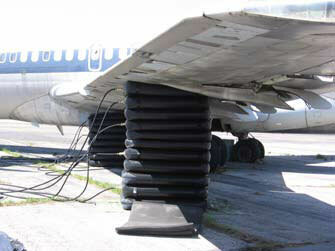 Contact chambers contour matching consists of individual inflatable elements positioned in such a way that there is an optimum contact with the surface of the aircraft, which is particularly important when the aircraft surface is at an angle. Padded plate (10mm)is used as protection from sharp edges or protrusions.